We have some very exciting news here at Just Food! 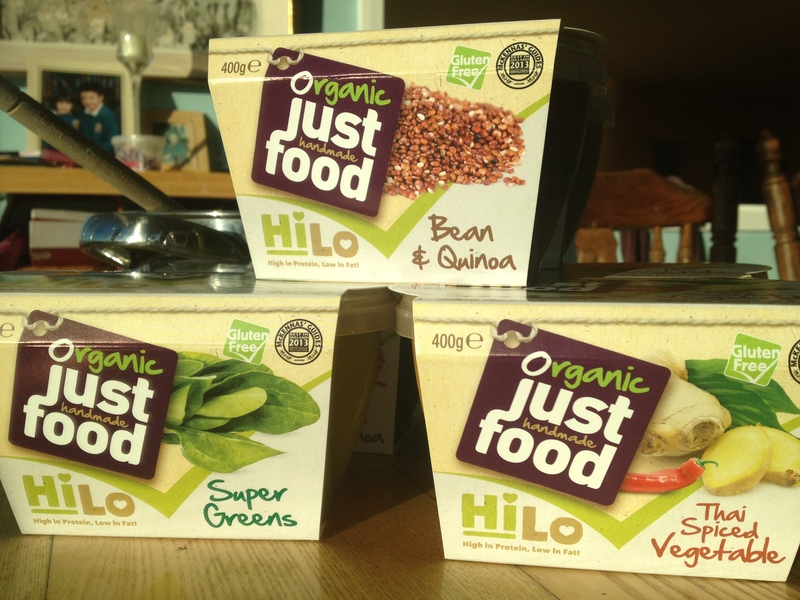 We are launching our brand new range of HiLo soups this week in Dunnes Stores! These delicious soups are high in protein and low in fat but like all our products are made from completely natural organic ingredients. This is a brand new revolutionary product which we are leading the way in. It’s actually the first of its kind to be marketed in Europe! We have spent over a year developing these products and we are thrilled with the result; a range of 3 tasty soups which deliver high protein content whilst keeping the fat and calorie count low. The range is enriched with protein rich chicken stock and packed with healthy veggies. They are perfect for anyone who wants interesting flavours and wholesome, fresh nutrient dense wholefoods, but are especially aimed at people wanting to lose or keep off weight, active people who wish to consume more protein rich natural food alternatives, and to those looking for a non-dairy protein source. Look out for our new HiLo range in your local Dunnes today. They are also available in selected Super Valus and we will be launching into Tesco next week. Click below for further details of the HiLo range. Would love to hear from anyone who has tried them out! These soups – especially the Quinoa and Bean and the Thai Spiced Vegetable – are so so TASTY and filling – and a bonus that they are actually full of ingredients that are good for you! I have been telling Dunnes Leopardstown to get more of these in – as they are always sold out! !